​Based on his series of books on Accept. Adapt. Achieve.® speaker John H. Clark III has created the ultimate seminar for achieving true personal life leadership. If you think true personal change is easier said than done, you must attend the God's Heartbeat Seminar. The facilitator, a career Naval Officer with an MBA from the Navy Postgraduate School, in Monterey, California, draws upon real-life experiences in war-torn Iraq, as well as leadership skills gained from a thirty-year career working and living aboard ships, submarines, and air stations. 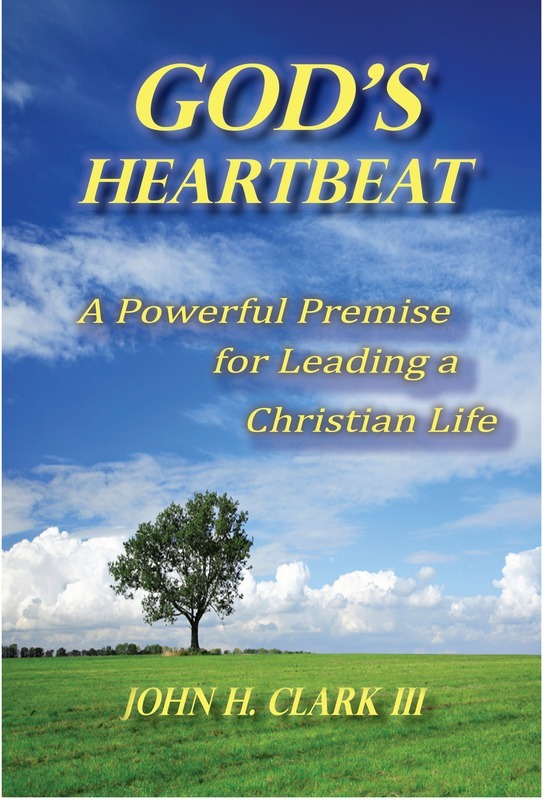 Focused on achieving true personal change, “God's Heartbeat” demonstrates how your own view of the world can sometimes prevent you from seeing the world as it really is. This witty seminar of inspiring allegories provides clever answers to often-asked questions about life, death, and how the two are interrelated. “God's Heartbeat” helps us to see that our days are filled with thousands of choices, yet we often pay too much attention to the frivolous choices and not enough attention to the greatest choice of all: Do you absolutely, truly believe in God? The God's Heartbeat Seminar confirms that life here on earth is actually quite simple if you really and truly believe in God. Ultimately based on the powerful Book of Proverbs, the God's Heartbeat Seminar includes an Instruction Book for Life. In fact, if you follow the simple instructions in the God's Heartbeat Seminar, you will always select the right path. You will always choose the correct course. And you will never wonder, wander, or worry. You won't wonder if your path is leading you astray. You won't wander into the realm of the unprotected. And you will never worry about the complexities of life. This course WILL change you!